In March of 2015, a cohort of teachers from Calabasas High School attended our 100-year commemoration of the Armenian Genocide with Dr. Richard Hovannisian and showed a commitment to genocide awareness education. 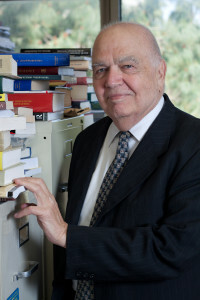 To honor Dr. Hovannisian, the Los Angeles office of Facing History chose to give a class set of books to one school which is dedicated to teaching this important history. As a result of their annual awareness efforts about a forgotten genocide and continued dedication to teaching it to students and staff, Calabasas High School received this class set of Crimes Against Humanity and Civilization: the Genocide of the Armenians as well as two educator multimedia resource kits to the Social Studies and English departments. I had to give voice to my grandparents." 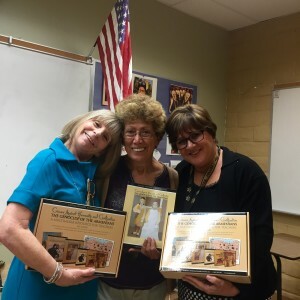 The teachers are enthusiastic about these Facing History resources and a new relationship with Facing History in Los Angeles thanks to the teacher Mrs. Boghosian, (pictured center). As teachers from Calabasas High School get ready to lock their classroom doors for the year, we congratulate them on this recognition and look forward to seeing them at our summer seminars and in the coming year! EXPLORE resources on the Armenian Genocide for yourself. SEE additional end-of-year recognition from our Upstander Celebration. Armen Menechyan was first introduced to Facing History when he attended a weeklong seminar on the Armenian Genocide in 2006, just before he began his MA in International Education at Teacher’s College, Columbia University. After living and working in Barcelona for six years at the Benjamin Franklin International School and his extensive travels to more than fifty cities worldwide, he moved back to his birthplace of Los Angeles. Armen joined Facing History Los Angeles as a Program Associate in 2014.